The most underrated feature of the new Polycom VVX 50-Series IP phones is a USB port. You might be thinking, “A USB port is about as exciting as a turnip.” But hear us out. Polycom VVX 250, Polycom VVX 350, and Polycom VVX 450 all have USB ports that support headsets. That means they give you the simplest solution for hands-free office communications. A lot of IP phones lack this feature! 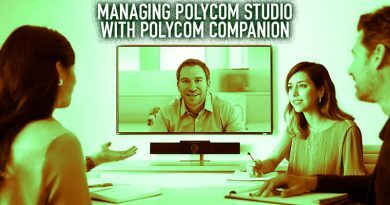 So the next question is: What headsets work with the Polycom VVX 50-Series? Enter the experts at IP Phone Warehouse. 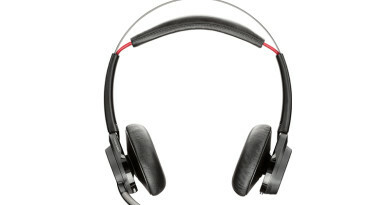 Here are our top three choices for office headsets for Polycom VVX phones. Before we get to the headsets, let’s answer this question: Why would you go with a USB headset? Plug-and-Play. USB headsets are easiest to use. Call Control. Most USB headsets have inline call controls to change volume, end calls, mute the microphone, and more. No QD. Quick Disconnect (QD) cables let you, well, quickly disconnect from calls using your headset. Convenient, but confusing to find a cable that is compatible with your headset. 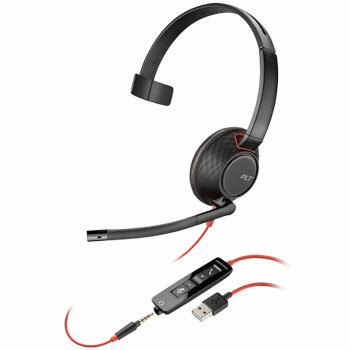 USB headsets provide identical call control with fewer cables and no worries about compatibility. Use with Other Devices. 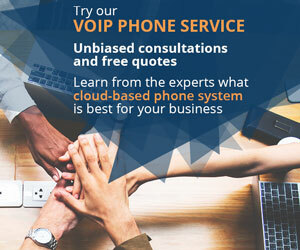 You can just unplug your headset from your VVX and plug it into any computer for use with a softphone or when joining a video conference. Travel. You can bring along your USB headset when you travel to use it with a laptop. 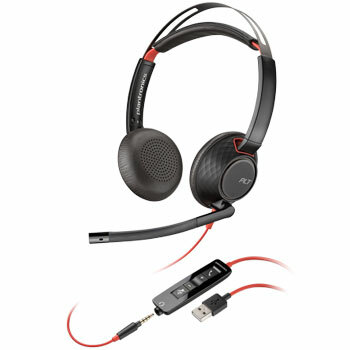 Plantronics Blackwire 5210 gives you premium features at an excellent price-point. It offers both USB and 3.5mm connectivity, call control, and rich wideband audio. 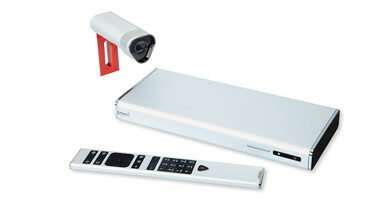 Polycom VVX 250 also gives you premium features at an excellent price-point. It’s like the two were made for each other. All-Day Comfort. The light, over-the-head headset is nicely cushioned, so you can have it on all day with no discomfort. Inline Controls. It’s easy to answer calls, hang up, mute the microphone, and adjust the volume using the inline controls. Flexibility. You can use Blackwire 5210 with both your VVX using USB and your smartphone using 3.5mm. Digital Signal Processing. Blackwire 5210 provides excellent digital signal processing to improve sound quality on your calls. Dynamic EQ. The headset optimizes for voice or media playback automatically using built-in equalizing technology. SoundGuard DIGITAL. It protects your hearing by capping sound at 118dBA. Plantronics Blackwire 5220 gives you everything listed above about the Blackwire 5210 — and more. With stereo sound and dual cushioned ear pieces, Blackwire 5220 has a more luxurious feel. 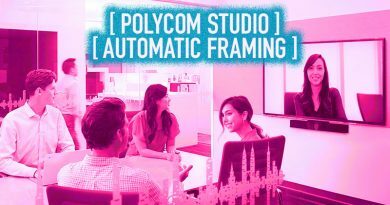 Polycom VVX 350 is a powerful mid-range IP phone with six SIP lines and an intuitive color display. Reliable and simple to use, VVX 350 is a great pairing for Blackwire 5220. What more does Blackwire 5220 offer? Hi-Fi Stereo. The dual headphones provide high-fidelity stereo audio quality. Passive Noise Reduction. The soft, padded ear cushions combined with directional microphone prevent noise from disturbing your calls. 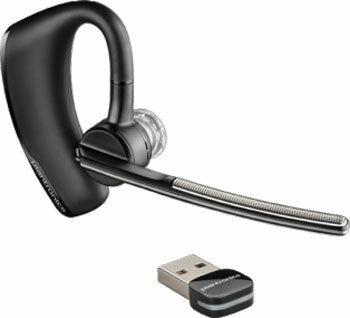 Plantronics Voyager Legend UC combines superior audio quality with flexible connectivity. 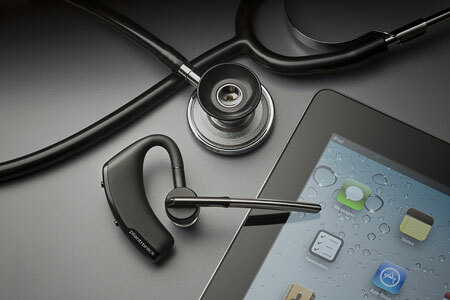 Designed for the mobile professional, Voyager Legend UC is an elite Bluetooth headset with a comfortable earhook. Polycom VVX 450 is a performance IP phone with Gigabit Ethernet speed. It doesn’t support Bluetooth directly. But its USB port is still incredibly useful. The headset comes with a USB Bluetooth dongle that plugs into your phone. Voyager Legend UC comes with an elegant desktop charging stand and a portable charging case that gives you an additional 14 hours of talk time. Who would benefit from this pairing? What does Voyager Legend UC offer? Simple. Just plug the dongle into your Polycom VVX 50-Series IP phone and you have a professional wireless headset. Always Ready. You can leave the dongle in the phone so you’ll always have a wireless headset ready. Multi-Device Connectivity. Voyager Legend UC lets you connect to your VVX phone and another device like a smartphone or tablet. Weight. At just 18 grams, you’ll barely feel the headset on you. Audio Quality. The three precision-tuned microphones and wideband speaker give you professional sound quality. Smart Sensor. Plantronics Smart Sensor technology makes for a seamless experience with automatic call answer or call transfer, automatic softphone detection, and more. WindSmart. The headset provides three layers of wind protection to keep your conversations clear. Digital Encryption. Voyager Legend UC uses 128-bit encryption to protect your communications. 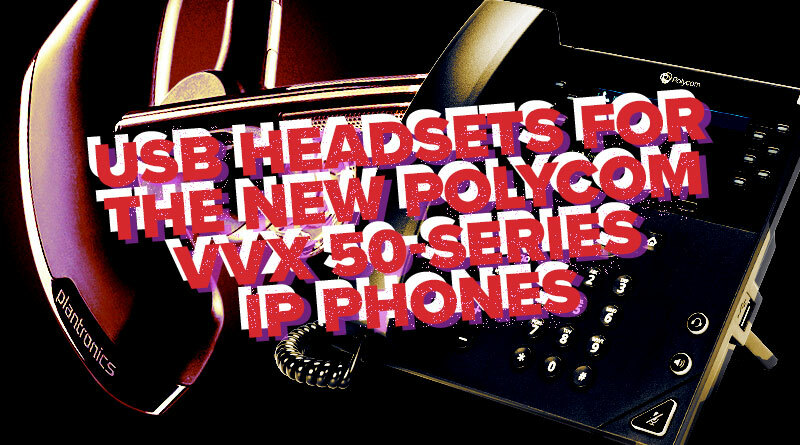 Shop USB Headsets and Polycom VVX IP Phones at IP Phone Warehouse today!